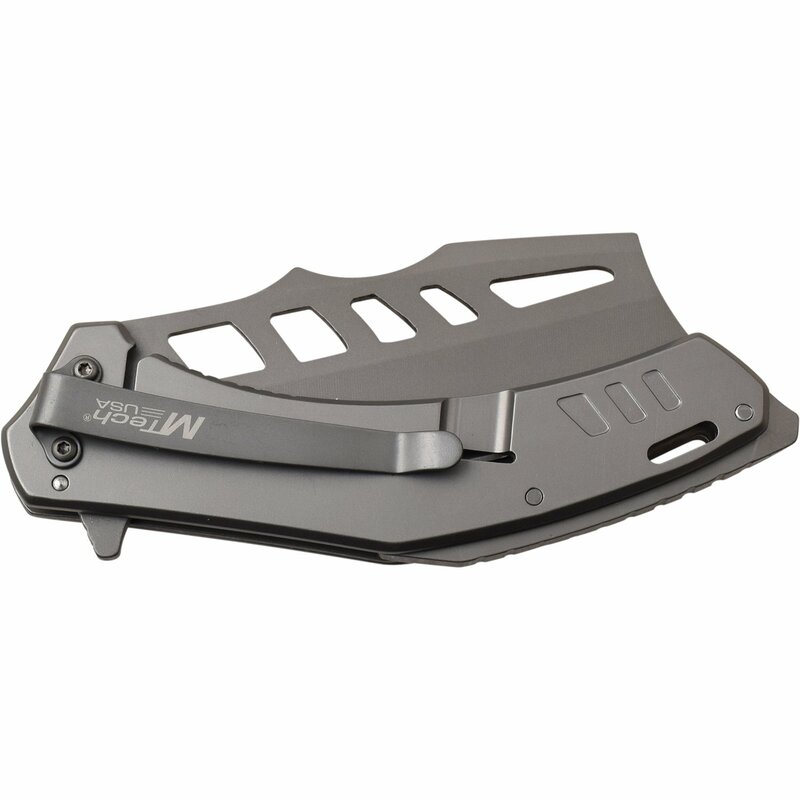 Mtech USA Knife with cleaver blade. 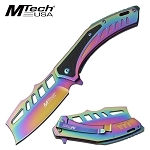 Cool pocket knife in rainbow color blade and handle. Mtech USA spring assisted knife. 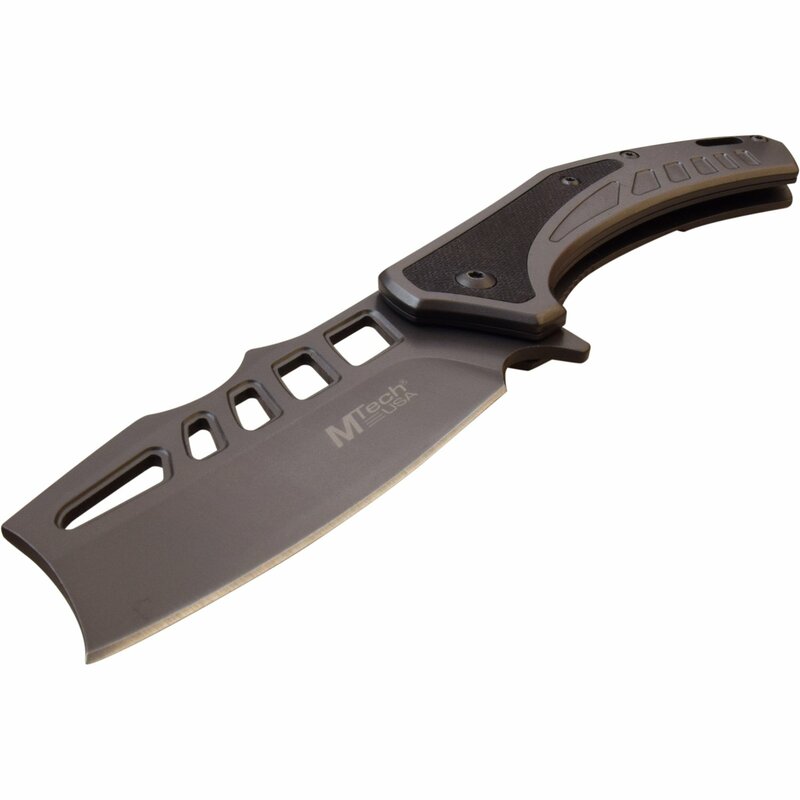 Big 8 inch open length knife. 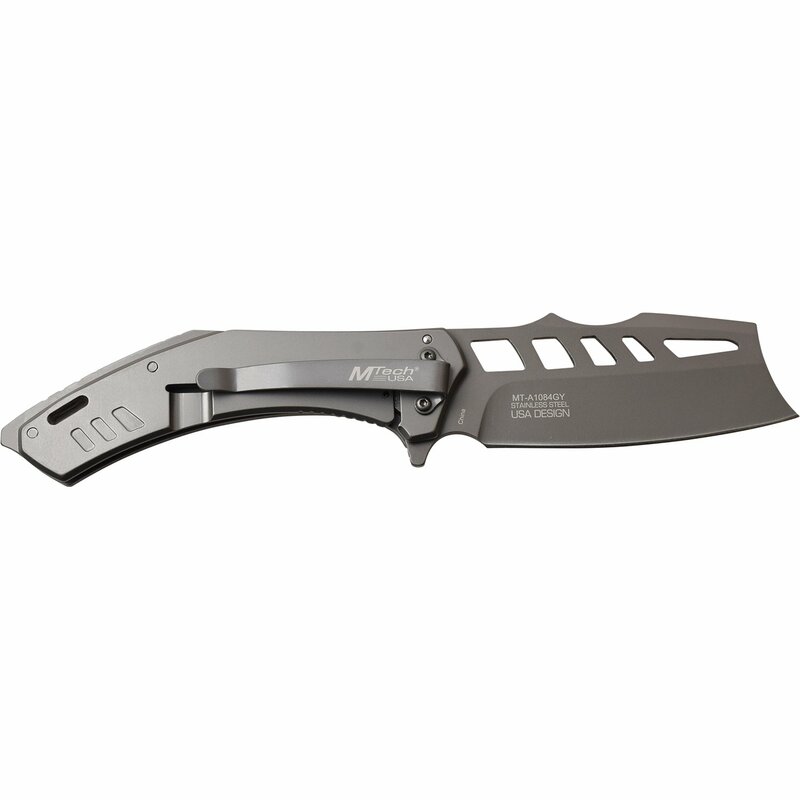 The blade is 3.25 inch 3cr13 stainless steel. 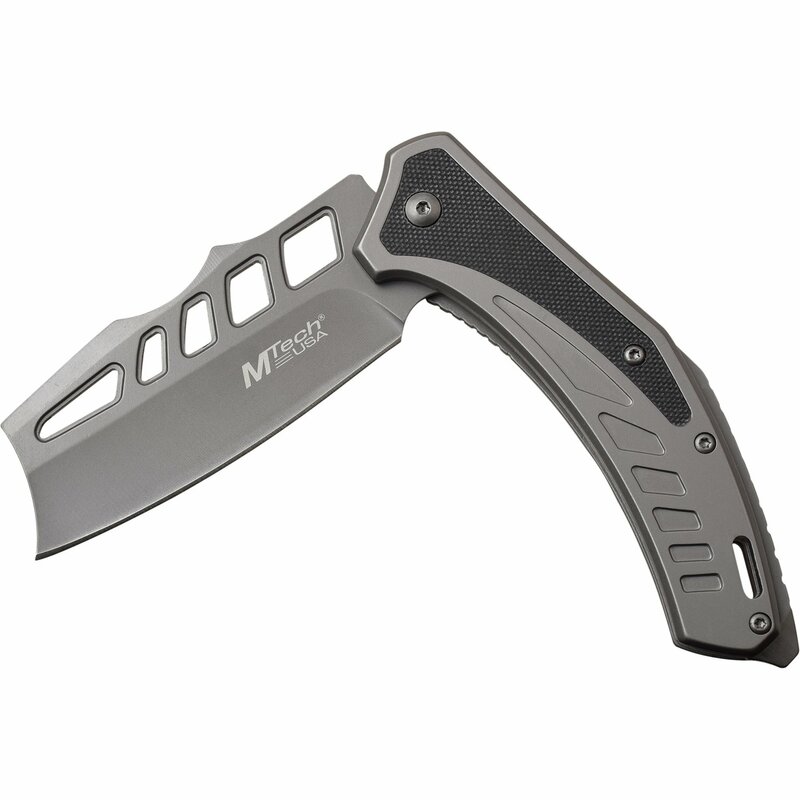 4.75 inch gray stainless steel with black g10 inlay handle.